As you prepare for your wedding and celebrate being newly engaged, you will be making sure you have all of the traditional items for your special day. Don't forget the something blue. To take this tradition one step further, why not have your wedding party wear something blue as well? The jewelry experts of Apples of Gold has created this amazingly bright aquamarine blue ring with the sparkling touches of elegant 14K white gold throughout. 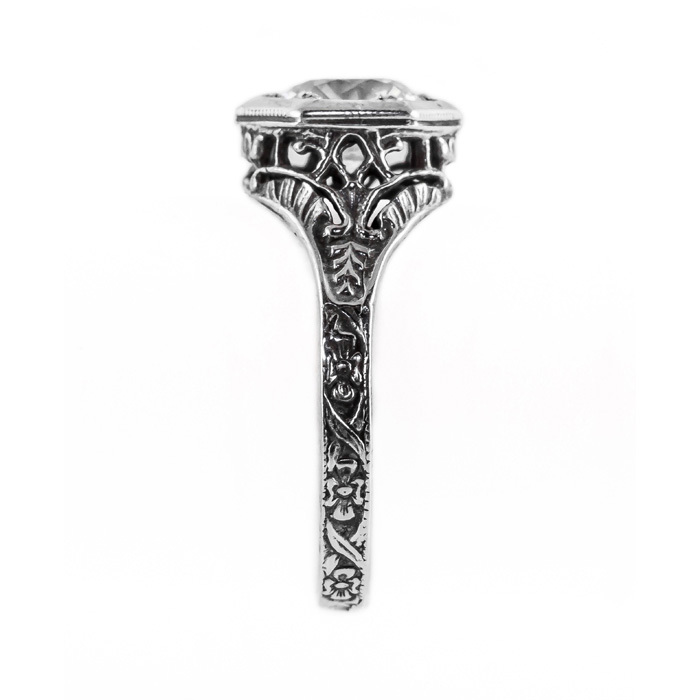 The art nouveau style offers wedding inspiration like no other. 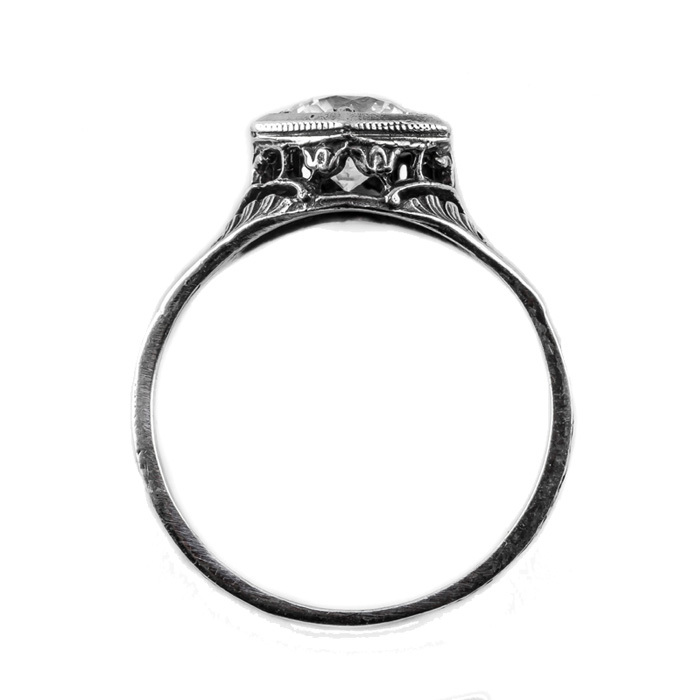 Measuring 6.5mm, this 14K white gold ring is the perfect accent for your bridal party. 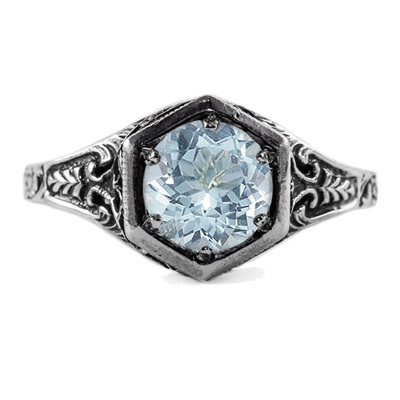 We guarantee our Art Nouveau Style Aquamarine Ring in 14K White Gold to be high quality, authentic jewelry, as described above.